Last month, around 40 digitally savvy leaders came together at an HCIC session to discuss the challenge of surviving even a highly successful hospital website launch. 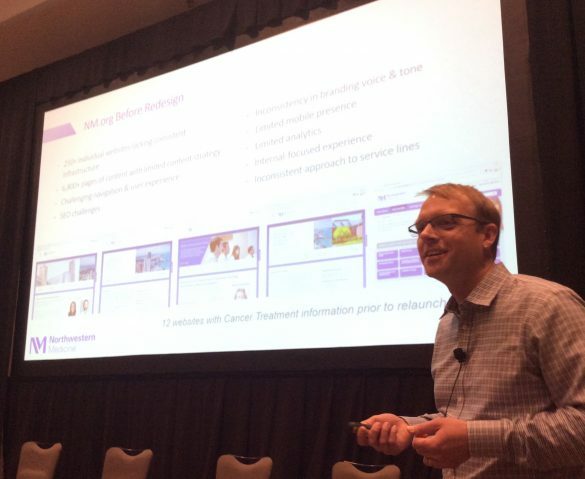 Stephen Strong, the Director of Digital for Northwestern Medicine discussed his journey from helping to set the right expectations, to gathering and showing progress against change requests, to charting the longer-term vision that today frames the ongoing work of running a major health system website. Something kind of magical happened as members of the audience, many of them accomplished digital leaders themselves, came forward and took panel seats beside Stephen and the gathered experts in the room started exchanging experiences as peers. This conversation will be moderated by Jeff Cram, who as an agency co-founder of Connective DX has partnered with hundreds of organizations taking the next step in their digital transformation. It’s a free event – register here, and yes if you miss any of this it will all free and available after the event to registrants. So, if you’re in to this, please register today. Tiffany v. eBay Webinar – You’re Invited! 1 Response to "You’re invited to Life After Launch, the webinar"
Thank you, you’ve helped me a lot..